Procurement of slotless BLDC servo motors, which are only manufactured in countries achieving certain technology levels, are becoming achievable from domestic sources. 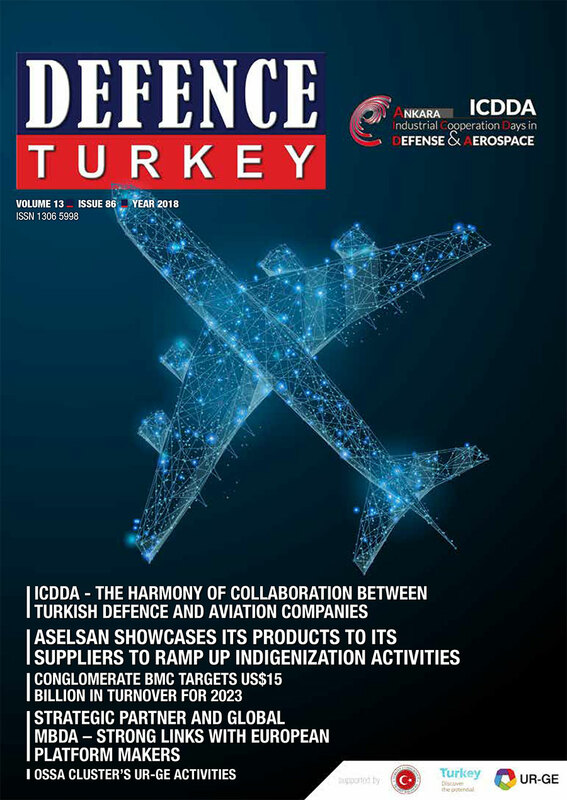 The Defense and Aerospace qualification of slotless BLDC servo motors were launched in 2014 as an R&D project, with all electromagnetic and structural designs were successfully completed by Turkish engineers. Electric Motors are classified due to many different criteria. One of the most basic qualification methods is that of separating the motor according to the power source that operates the motor. From such a point of view, we come across a grouping of alternative current (AC) and direct current (DC) motors. In addition to this basic classification, electric motors can be categorized as asynchronous - synchronous motors, brush - brushless motors pursuant to the number of phases. The separation within the slotless, BLDC Motor that is the topic of our article is based on the structure of the motor. As it is seen, there are also slotted type brushless motors. Slotless motors are frequently confused with coreless motors. Sometimes, there is a core in the slotted and slotless motors known as lamination. 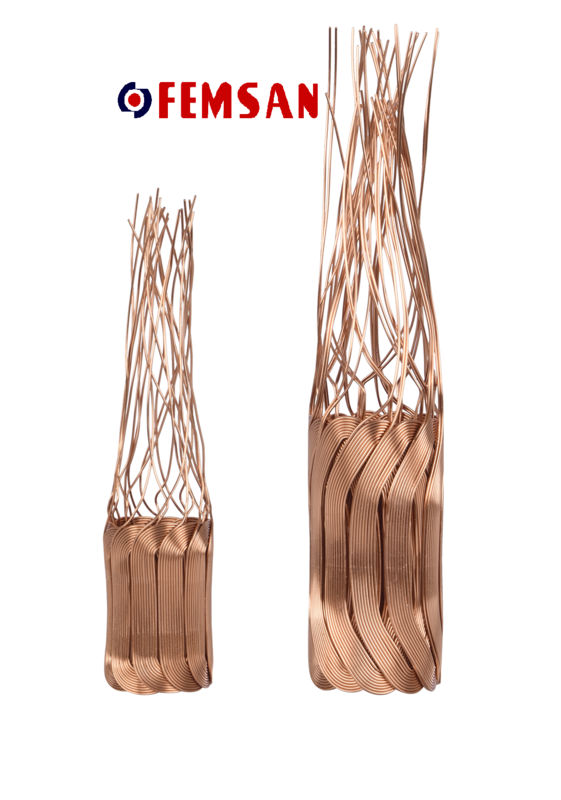 The difference between the two is that while the copper wire winding constituting the electromagnetic area is enrolled within the slot, in the other type the core is in the tubular shape and it externally covers the coils in a cylindrical shape. There are two critical points in slotless BLDC motors. The technological difficulty in the winding is optimizing the magnetic field strength without the tips of the slot, while the difficulty in terms of the process is forming the coils impeccably, and placing them inside the iron core and keeping it there. The slotted and slotless BLDC motors structures are demonstrated in the image below. As the name suggests, in the coreless engine structures, there are no cores interacting with the bobbins in any way. The windings are hardened with resin or an epoxy derivative chemical and thus the structure could be kept as rigid. The first electric motors come up an industrial sense in history as a slotted structure. The slotless motor structures were first seen at the end of the 1960s. There are several rumors regarding their initial implementation areas. Certain sources claim that they were utilized in the satellites launched to space by NASA while others suggest that they were used in small tools such as razor blades. As a result of the aforementioned advantages, Slotless BLDC Motors were founded to have a wide area of application in the defense and aerospace industries. Especially, due to their compact structures, these motors have been utilized for a long time in challenging projects where each gram is calculated. As we take a look at the utilization areas of slotless BLDC Motors in the world, we can easily observe defense and aerospace areas ranking high on the charts. The same type of products have been imported and utilized in our defense industry for a long while. The foreign dependency in this area was abolished with the help of the systems developed by FEMSAN. FEMSAN has been active in the area of design and production of the electric motors for approximately 30 years. The company has been manufacturing products for the defense industry over the last fifteen years. While the first products were Brushed Direct Current (DC) Motors, throughout the period different types of motors were also manufactured and introduced to the market by FEMSAN to fulfill the demands of the market. Permanent Magnet - PM Motors, AC Synchronous Servo Motors and aircraft alternators are the most critical examples on this subject. Having received support from the nationalization and indigenization projects expanding significantly in recent years in our country, in 2016 FEMSAN completed its slotted, brushless BLDC Servo Motors group building project which it had started in 2014. It was completely indigenous from scratch without conducting any reverse engineering activities, and throughout 2017 the company successfully accomplished the qualification processes of these products towards the defense and aerospace areas. Nowadays FEMSAN is fulfilling the requirements of our country’s leading defense industry companies in this area through domestic resources. As also mentioned above, the purpose of the project is to build an indigenous slotless BLDC motor group. The product groups revealed following the completion of the studies are shown in the table below: The As part of a subproject under a Technology Development Liability (TDL), Femsan was commissioned to develop a range of slotless BLDC motors within a contract signed between the Presidency of Defence Industries (SSB) and ROKETSAN. The design activities as part of the project are being completely conducted by Turkish engineers indigenously. Different electromagnetic designs emerged in the initial stage, their advantages and disadvantages were analyzed and those most convenient for implementation were selected. Resistance against challenging environmental conditions over these designs were identified and thermal and structural analyses were run. During the production stage, processes specialized for the products were identified and this was and is regarded as the most critical process of the project. In the last stage, the plans and results are controlled with performance tests and matching points are measured and recorded. 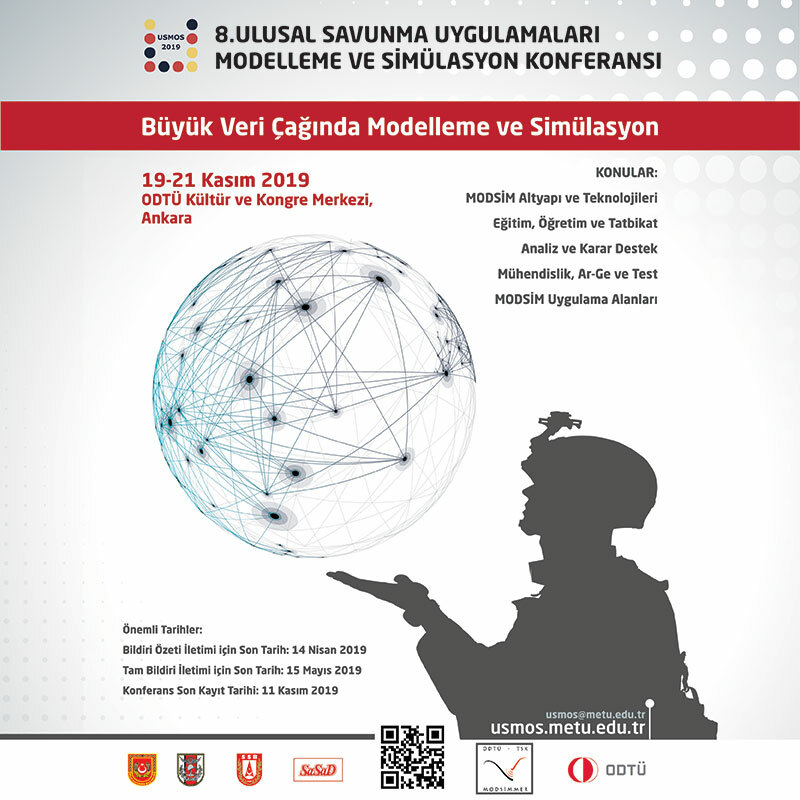 With its staff of over 160 people and conducting critical activities towards the defense industry for 15 years, FEMSAN is also capable of manufacturing products and offering services in electromagnetic and mechatronics areas with its R&D staff of 20 people within the institution. The company’s areas of activity are electric, mechanic and electronics, yet FEMSAN offers services to its customers sometimes in only electric motors or alternators at the component level or sometimes just actuator with other components integrated to the motor. Besides that a fin actuation assembly of an ammunition could also be manufactured by FEMSAN as a sub - system.